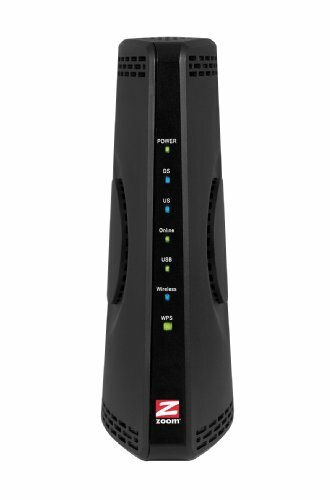 The ZoomTelephonics 5350 is similar to the 5345, combining the modem with a wireless-N router. Not equipped with telephone capability, this model upgrades to a four-port Ethernet switch approved for CableLabs for use on all cable systems in the US. Depending on your location and how large your home is, this router can have poor Wi-Fi connectivity issues compared to the newer models in this series.